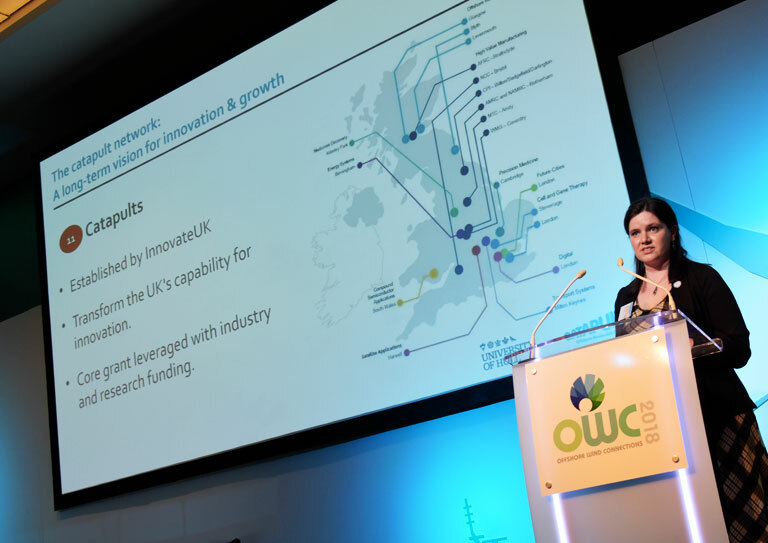 OWC2019 is a 'must attend' event for all those interested in this growing market. Thought leaders and key industry figures will discuss the latest developments in the industry including updates on key projects from developers, government organisations, manufacturers, port operators, marine support, vessel owners and operations and maintenance service providers. 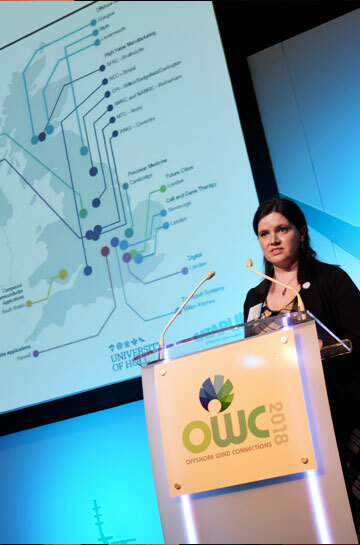 This years OWC will have a strong focus on the The Offshore Wind Sector Deal that builds on the United Kingdom’s global leadership in offshore wind, maximising the advantages for UK industry from the global shift to clean growth. The Deal which will see offshore wind reach the connected capacity of 30GW and deliver one-third of the UK’s electricity by 2030. Under the new deal, the number of jobs in the industry is expected to rise to 27,000 by 2030, up from 7,200 today and aims to increase the representation of women in the offshore wind workforce to at least a third by 2030. The deal also includes a GBP 250 million Offshore Wind Growth Partnership to develop the UK supply chain as global exports are set to increase fivefold to GBP 2.6 billion by 2030. The increase in exports will be achieved through partnerships between the Department of Trade and industry to support smaller supply chain companies to export for the first time. The morning session with contributions from guest speakers will be followed in the afternoon by specialist panels on contemporary industry subjects. The late afternoon event will see a further chance to network. Returning for 2019 will see additional activities on day one of the event including proposed site visits in the morning and in the afternoon WindMeet 1-2-1 sessions with key industry representatives.  For OWC 2019 we see the return of “WindMeet” our 1-2-1 initiative to bring together the local supply chain with key players in the Offshore Wind industry. This is an excellent opportunity to meet developers, operators, manufacturers and service providers in the industry. We only have very limited places available for these sessions and our contributors are looking to meet with organisations who are equipped to realistically offer specific solutions to the offshore wind industry. Further details on how to participate will be issued shortly. THMA are working in partnership with Green Port Growth to deliver this session. Presented by Dr Anne Velenturf who is an expert advisor for the decommissioning aspects of the OWIH (Offshore Wind Innovation Hub) technology innovation roadmap to raise awareness around decommissioning challenges based on this roadmap, and to discuss the scale of the challenge in terms of MWs that are to be decommissioned over the next 10-20 years and estimated costs. Come along and meet senior industry leaders and representatives from the Humber as well as national and international delegates. This is an informal evening providing a great opportunity to network, meet old friends and develop new profitable relationships. This event is free to attend for RenewableUK/THMA members and partners as well as OWC2019 delegates. Former Deputy Prime Minister and First Secretary of State he was the MP for Kingston upon Hull East from 1970 to 2010. He has an interest in Maritime, Shipping, Energy and the Environment particularly around Estuarial development. He was one of the architects of the Kyoto Protocol in 1997 and an Advisor on Climate Change to Ed Miliband. With so many industry colleagues and acquaintances around it’s a shame to call it an early night. Just pop upstairs and continue those conversations in the Double Tree by Hilton’s “The Lexington” Roof Top cocktail bar, DJ and terrace. THMA the organiser of OWC2019 is a not-for-profit, privately operated business development organisation with a growing membership of over 200 companies. THMA has a focus on the marine, maritime and offshore energy sectors based around the Yorkshire, Humber and Lincolnshire region. Established in 1996 and incorporated as a company in 2010 it is now one of the main regional Marine, Maritime & offshore renewables organisations in the UK. THMA works in partnership with five local authorities, the Humber Local Enterprise Partnership and key academic institutions. THMA has facilitated millions of pounds worth of new business for its members whilst organising overseas trade missions, networking events, exhibitions, workshops and conferences. THMA has established progressive partnerships with national and international organisations across the maritime and offshore energy sectors. Team Humber is also actively supporting skills development programmes and has a collaborative and successful Maritime & Offshore Skills Group. RenewableUK members are building our future energy system, powered by clean electricity. We bring them together to deliver that future faster; a future which is better for industry, billpayers, and the environment. We support over 400 member companies to ensure increasing amounts of renewable electricity are deployed across the UK and access markets to export all over the world. Our members are business leaders, technology innovators, and expert thinkers from right across industry. innogy is Germany’s leading energy company, with revenue of around €44 billion (2016), more than 40,000 employees and activities in 16 countries across Europe. With its three business segments Grid & Infrastructure, Retail and Renewables, innogy addresses the requirements of a modern, decarbonised, decentralised and digital energy world. Its activities focus on its 23 million customers, and on offering them innovative and sustainable products and services which enable them to use energy more efficiently and improve their quality of life. The key markets are Germany, the United Kingdom, the Netherlands and Belgium, as well as several countries in Central Eastern and South Eastern Europe, especially the Czech Republic, Hungary and Poland. Triton Knoll is an 857MW ‘Round 2’ offshore wind farm, owned by innogy (59%), J-Power (24%) and Kansai Electric Power (16%). innogy is building and will operate the project on behalf of the partnership. Triton Knoll is within the Greater Wash strategic area, located off the east coast of England, approximately 20 miles off the coast of Lincolnshire and 28 miles from the coast of north Norfolk. Ninety MHI Vestas 9.5MW turbines will be installed with a new operations and maintenance centre to be built at the Port of Grimsby. MHI Vestas has upcoming projects in the UK including Triton Knoll and Moray East as well as preferred supplier to a number of wind farms in the USA, Germany and Taiwan. MHI Vestas is expanding in the UK and looking to develop its Isle of Wight blade factory to deliver around 1,100 new jobs. Hornsea Project Two (HP2) will be built immediately after the 1.2GW Hornsea Project One completes in 2020, the second element of the Round Three zone will take the title with an 11.5 per cent increase on the capacity it will deliver from the Humber approaches. Hornsea Two was granted consent by the Secretary of State for Energy on the 16th August 2016. The project is located approximately 89km off the Yorkshire coast. When complete, it will be able to meet the electricity needs of up to 1.3 million homes per year, and bring low carbon power to the UK and the opportunity for economic growth in the Humber region. Aura is an initiative of the University of Hull, working with a group of key industry partners, academia, national, local and regional government as well as other key supporters. Our vision is to create a world leading low carbon, offshore wind research, talent and innovation hub. The main aim of the hub is supporting the developing offshore wind sector towards sustainability, establishing it as a vibrant industry in the Humber – the UK’s Energy Estuary, for the benefit of the region and the country. America’s growing offshore wind power industry — now projected to generate 18.6 GW of clean, cost-effective power in seven states on the Atlantic Seaboard by 2030 — is presenting a nearly $70 billion CAPEX revenue opportunity to businesses in the offshore wind power supply chain over the course of the next decade. The U.S. offshore wind power sector is well underway. In 2016, the nation’s first offshore wind farm was commissioned off Block Island, Rhode Island (30 MW). Today, offshore wind farms totaling 1.6 GW of capacity are contracted to provide electricity. Rhode Island has a State commitment of 38.5% renewables by 2035 and Gov. Raimondo has announced a Vision for Rhode Island’s Clean Energy Future24. The Rt. Hon. Graham Stuart is the MP for Beverley and Holderness and in 2018 also became the Parliamentary Under-Secretary of State at the Department for International Trade (DIT). As a Minister at one of the newest government departments in Westminster, Mr Stuart plays a key role in directing UK trade policy across the world. A Member of Parliament since 2005, he leads on promoting investment in the UK by foreign partners, as well as overseeing the government’s policy on direct investment abroad. Siemens Gamesa Renewable Energy, S.A. designs and manufactures renewable energy equipment. The Company offers wind turbines, turbine gearboxes, offgrid, and other related equipment, as well as provides maintenance and reconditioning services. United by nature. Together, Siemens Wind Power and Gamesa are creating a leader in the renewable energy industry, to provide cleaner, more reliable and more affordable energy to society, and to create lasting value for all stakeholders. Siemens GRE invested £160 million in its rotor blade manufacturing facility, project construction, assembly and service facility at Green Port Hull in East Yorkshire. It now employs over 1,000 people onsite manufacturing and assembling blades for installation in the north sea and beyond. ORE Catapult is the UK’s leading technology innovation and research centre for offshore renewable energy. They help develop, test and commercialise new technologies for offshore wind, wave and tidal, reducing the cost of generating electricity offshore and creating UK economic benefit. InOctober 2017 a new £2 million collaboration between the Offshore Renewable Energy (ORE) Catapult and the University of Hull saw the launch of an offshore wind Operations and Maintenance (O&M) Centre of Excellence in the Humber region. The five-year partnership will see a series of research and innovation projects developed to improve the way that offshore wind farms are operated and maintained, building on the region’s energy heritage, location and experience of servicing UK offshore wind farms. Martin Knagg, Onshore Cables Package Manager – Triton Knoll OffShore Wind Farm. Blair Jacobs is a freelance Broadcaster, producer, voice-over and media-trainer based in the East Riding of Yorkshire, England. Since 1994, Jacobs has been working mainly for the BBC, producing and presenting radio programmes. Mark, a seasoned Industrialist, has over 30 years experience in the Industrial/Engineering sector with significant UK, and International expertise of Strategy, Business Development, Marketing and Export. 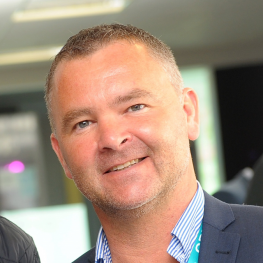 He is a member of the Maritime UK Regional Council, Humber LEP Marketing Group, Humber Maritime Supercluster and Humber-wide Energy Board. For the past 10 years Mark’s focus has been on the Maritime, Marine & Offshore Energy "Blue Economy" industries particularly around opportunities in the "Offshore Wind" sector. He actively promotes the region as a centre for Offshore Renewables whilst endeavouring to involve local and regional companies in the supply chain. He has grown Team Humber Marine Alliance into a dynamic self-sustaining Business Development organisation with over 200 member companies. Lord Prescott is a British politician who was the Deputy Prime Minister of the United Kingdom from 1997 to 2007. Born in Prestatyn, Wales, he represented Hull East as the Labour member of parliament from 1970 to 2010. In the 1994 leadership election, he stood for both Leader and Deputy Leader of the Labour Party, winning election to the latter office. He was appointed Deputy Prime Minister after Labour's victory in the 1997 election, with an expanded brief as Secretary of State for the Environment, Transport and the Regions. He was one of the architects of the Kyoto Protocol in 1997 and an Advisor on Climate Change to Ed Miliband. 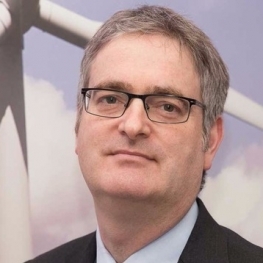 Hugh McNeal took up his post as Chief Executive of RenewableUK in April 2016. Before this, he spent a substantial part of his career as a senior civil servant, most recently as Director of Change at the Department of Energy and Climate Change. 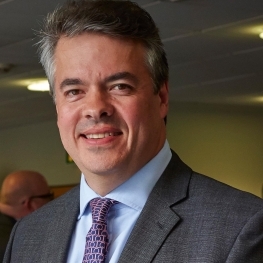 His other roles have included Chief Executive of the Office for Renewable Energy Deployment at DECC, and Deputy Director of Low Carbon Business at the Department for Business, Innovation and Skills. He was educated at the London School of Economics and Harvard University where he also taught from 1995 to 2000. Hugh was on the Board and then Chair of Equinox, a charity providing services to people seeking to overcome alcohol, drug and mental health problems, from 2002 until 2012. He lives in south London with his wife and young son. 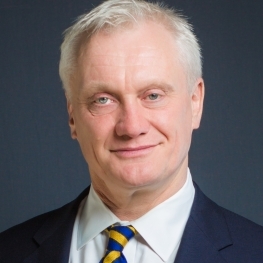 Graham Stuart was elected Conservative MP for Beverley and Holderness in 2005 and more recently, appointed Minister for Investment at the Department for International Trade. Graham started his publishing business while still at Cambridge University. He was later elected to Cambridge City Council, where he eventually led the Conservative Group. Graham’s Parliamentary career has seen him serve as Chair of the Education Select Committee (2010-15) and as a Government Whip with responsibility for the Department of Health, and later for HM Treasury and the Ministry of Defence. In his role as Minister for Investment at the Department for International Trade Graham focuses on encouraging foreign investment into the UK economy and promoting overseas investment opportunities to British companies. Stefan Pryor serves as Rhode Island’s first Secretary of Commerce. 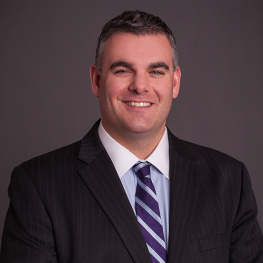 Appointed by Governor Gina M. Raimondo and confirmed unanimously by the Rhode Island State Senate in 2015, Secretary Pryor oversees and coordinates the State agencies and offices responsible for economic development, business regulation, housing, and workforce development. Rhode Island’s economic progress under Governor Raimondo has been profiled by national publications including Chief Executive magazine (“Rhode Island Boasts The Biggest Climb In ‘Best States / Worst States’ Rankings,” May 2, 2018) and the New York Times (“After Long Economic Slide, Rhode Island Lures New Business,” March 14, 2017). Twenty-four businesses have announced plans to land or expand in Rhode Island since the Governor’s new programs were implemented about two years ago. Pryor served for approximately five years (2006-2011) as Deputy Mayor and Director of Economic and Housing Development in the City of Newark, NJ. Pryor and his team played a key role in orchestrating plans for Newark’s first new downtown hotel in 40 years and first new office tower in 20 years. They also helped recruit new commercial tenants to Newark including Panasonic (North American headquarters) and Manischewitz (world headquarters). Before his work in Newark, Pryor was President of the Lower Manhattan Development Corporation (LMDC). The LMDC was created in the aftermath of September 11th by the State and City of New York to plan and help coordinate the physical rebuilding and economic revitalization of Lower Manhattan including the World Trade Center site. From 2002-2006, Pryor served in a number of leadership capacities at the agency, culminating in his service as the LMDC’s President. Pryor previously served as a Vice President at the Partnership for New York City, where he led the organization’s public education initiatives including a program which worked in collaboration with two low-performing, high-poverty NYC school districts. Pryor served as the Commissioner of Education for the State of Connecticut (2011-2015). During his tenure, Connecticut passed important legislation aimed at closing achievement gaps, improving chronically underperforming schools and districts, enhancing educator effectiveness, and increasing opportunities for all students. Pryor received his undergraduate and law degrees from Yale University. 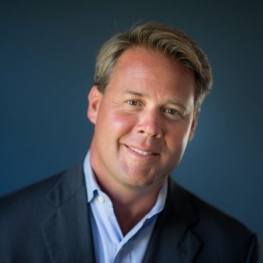 Matthew A. Morrissey is Head of Markets, New England for Ørsted, where he manages the company’s development efforts in New England. Mr. Morrissey has been involved in executive leadership positions in the offshore wind industry since 2007. As the founding Managing Director of Offshore Wind: Massachusetts, Mr. Morrissey spearheaded the industry’s successful efforts to include offshore wind in the Commonwealth’s energy portfolio, resulting in the historic 1600MW bill signed into law in August 2016. Under Mr. Morrissey’s leadership as Executive Director of the New Bedford Economic Development Council for many years, New Bedford led all similar size cities from around New England in new growth and private capital investment. Mr. Morrissey founded the New Bedford Wind Energy Center where he worked with key local leaders and state officials to attract public investment in the development of the state owned New Bedford Marine Commerce Terminal, the first offshore wind terminal in the nation. 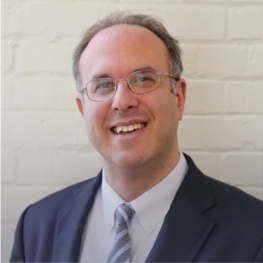 Mr. Morrissey has a degree in English literature from University of Massachusetts Dartmouth, and is a graduate of Harvard’s highly competitive non-degree granting Advanced Management Development Program in Real Estate. Mr. Morrissey is the fifth generation of his family hailing from the Port City of New Bedford, Massachusetts. Neil initially studied business in Aberdeen then trained as a commercial diver spending eight years carrying out numerous diving assignments in the UK and Norwegian waters involving new construction projects, pipeline surveys, welding and inspection. He has over 25 years' management experience in director and business development roles, combined with over 15 years in the subsea industry. 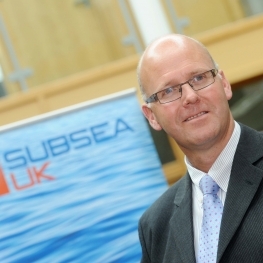 Prior to joining Subsea UK, he spent four years managing the National Hyperbaric Centre which included project-managing saturation diving operations and hyperbaric weld trials. 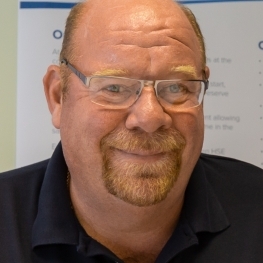 He more recently developed the subsea safety training and consultancy aspect of the business, where he regularly lectured to subsea engineers and delivered a range of training courses both in the UK and overseas. He has experience working in India, Middle-east, Africa and Brazil and has worked with the Oil and Gas Producers diving operations sub-committee on client representative training and competency for subsea projects. He was also an active member of the IMCA diving safety, medical, technical and training committee. Julian Garnsey is the Project Director of innogy’s 857MW Triton Knoll Offshore Wind Farm. Working in offshore wind for over 16 years, he has been involved in a number of key developments and advancements in the offshore wind industry. He has experience across every stage of a project’s lifespan, from the early stages of development, through to design, construction, and asset integrity. 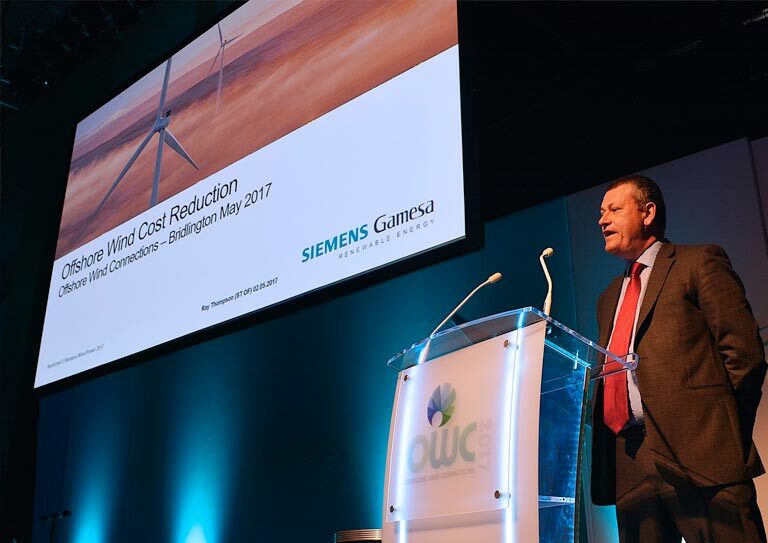 He has witnessed the growth of the sector from the earliest commercial scale projects built in the UK through to developments such as the Galloper Offshore Wind Farm, constructed by innogy in 2017 and now fully operational. Julian has performed various roles on innogy’s offshore projects, including Deputy Project Director, Foundation Project Manager and Engineering Manager. Julian is a Chartered Engineer and a member of the Institution of Civil Engineers. MHI Vestas Offshore Wind was established in 2014 as a joint venture between Mitsubishi Heavy Industries Ltd and Vestas Wind Systems Ltd. MHI Vestas turbines are world-leading and we are committed to continued innovation. The UK represents over 50% of our business and by end 2019, MHI Vestas will employ over 1000 people in the UK, nearly 800 people manufacturing blades on the Isle of Wight and over 200 at 12 service sites around the country. Mary’s role is to build government, supply chain and societal support for sustainable, long term growth in UK offshore wind. 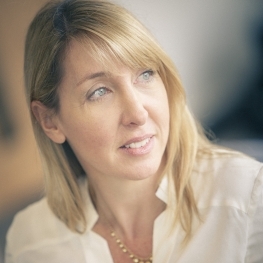 Mary has strong experience of UK offshore wind as it has evolved and grown, working with Government and wider stakeholders to ensure the CfD delivers low cost power and in delivering the Offshore Wind Sector Deal. 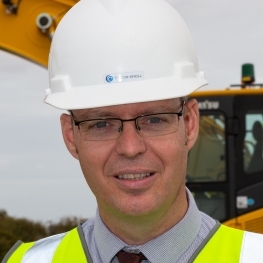 Jason currently holds the position of Senior Construction project manager for all offshore construction activities on the Hornsea Two project which once complete will be the largest offshore wind farm in the world powering up to 1.3 million homes. Prior to this, Jason lead on the construction of Race Bank offshore wind farm off the East Coast of the UK which completed on time and on budget in 2018. 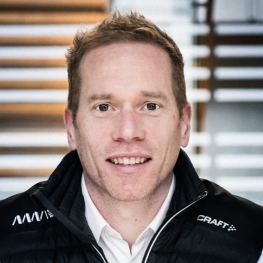 Jason also holds 12 years experience working for Ørsted in project execution and management across 6 offshore windfarm projects including Gunfleet sands, London Array and Westermost Rough prior to that a Saturation diver working in deep water construction and salvage for the oil and gas industry. Ben has a background as a fighter pilot and instructor in the Royal Australian Air Force. In 2010, Ben transferred into military development and acquisition projects. 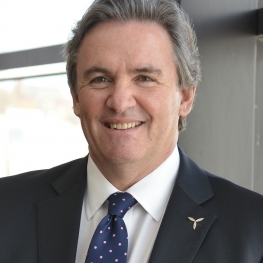 In 2012, he moved to the UK to work alongside BAE Systems in Brough, developing, testing and delivering an extensive upgrade to the Australian Hawk fleet. 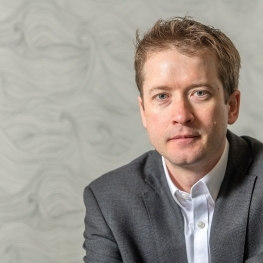 Ben joined Aura as Director in 2018 with a singular mission: through collaboration across the sector, to ensure Aura delivers value-adding innovation to research & development, skills and the supply chain in the offshore wind and renewables industries. Leading the people work streams for the creation of a new wind turbine blade facility, warehousing and pre-assembly function. Work streams include recruitment, onboarding and training of 1,000 new people including transactional HR, people strategy and associated internal & external communications. I'm incredibly proud of the 2 Global awards presented - 1 for recruitment and the other for training, onboarding & purchasing. Diversity remains a key focus with programmes aimed at giving work experience and internships to young people with special educational needs and disabilities as well as promoting WiME women into manufacturing and engineering. Work with HMP continues as we support ex-offenders to find employment. Prior to Siemens I worked for RWE where I built and led a team of specialist HR Change Managers. The team were passionate about engineering the best change journey for employees and ensuring managers have the support they need to deliver difficult messages before, during and after change. Prior to joining RenewableUK Maf worked at grid and regulatory consultancy Xero Energy, and for much of this time was seconded to the Department of Energy and Climate Change to work on Electricity Market Reform. Between 2006 and 2011, Maf worked as Deputy Chief Executive and Director of Scotland for the Sustainable Development Commission, acting as advisor and scrutiny body to the Scottish Government. Between 2002 and 2006 Maf was Chief Executive of Scottish Renewables. The UK’s leading renewable energy trade association, specialising in wind and marine energy. RenewableUK develops these sectors by organising industry events, protecting member interests and promoting their industries to Government, business and media. Members include independent companies to large international corporations, providing a united representative voice and fantastic networking opportunities. 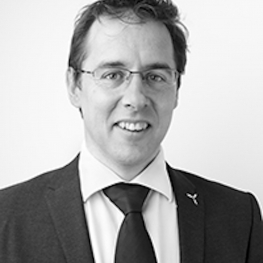 Tony is a Chartered Mechanical Engineer with over 15 years’ experience in the Offshore Wind Sector and over 25 years’ experience in the overall power sector. He has worked on over 20 offshore windfarms globally and am currently on projects in the UK, Europe and the USA. I have an extensive and successful track record of establishing and growing businesses in demanding and competitive environments using measurable strategic plans and performance indicators. He has a vast network of contacts and colleagues having worked at several levels ranging from Government bodies (UK and US), through International Developers/ Utilities, to OEM’s, to niche /Tier 1+ players and financial institutions, accounting, legal and insurance organizations. He has an outstanding track record of developing, implementing and delivering power and infrastructure strategy and projects. Andy Macdonald is the Senior Innovation Manager at the Offshore Renewable Energy Catapult (ORE Catapult). With experience in both technology and commercial roles, Andy excels at identifying innovation opportunities and routes to commercialisation. Building collaborative projects between ORE Catapult, industry and academic research partners is a core strength and is central to the value that Catapult adds to the renewables sector. Andy has led the development of joint industry projects that bring operators together to address sector-wide issues that need a coordinated approach. Prior to joining ORE Catapult, Andy worked in the tidal energy sector and he has hands-on experience of project development and supply chain optimisation. 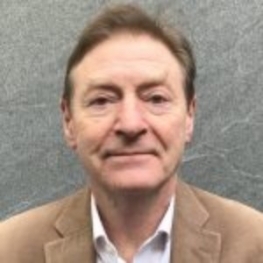 He has cross-sector innovation expertise having worked on the development and introduction of new technologies across telecoms, IT and energy industries. Steven co-founded ROVOP in 2011. From a new start business operating from a two-desk office, ROVOP has delivered on ambitious growth plans to become a global subsea robotics specialist, providing remotely operated vehicle (ROV) services to the global energy industry, with a fleet 51 ROVs, over 250 staff, projects in 20 countries worldwide, $100m of investment, and its own, purpose-built headquarters in Aberdeen and Houston. Before ROVOP, Steven established the Aberdeen office for LDC, the UK’s leading private equity investor in 2008. Prior to that, Steven Gray began his career as a corporate lawyer before spending 15 years in banking and private equity to the oil, gas, energy and offshore industries in Europe and North America. Based in New York for five years, he was responsible for more than $1bn of financing across 40 transactions in the energy services sectors in the North American market for Bank of Scotland. 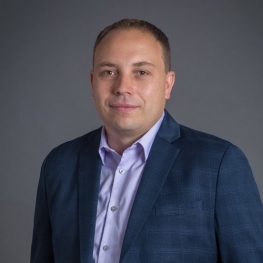 With more than 15 years of experience within the transmission and distribution industry, Jason Cabral leads a regional transmission and distribution team in the Northeast for Burns & McDonnell, an engineering, architecture, construction and consulting firm. He manages 80 project managers, engineers and technical professionals supporting more than 50 projects across the country. He has grown his team by 20 percent and increased revenue to more than $22 million since 2017. Cabral has managed some of the largest, multibillion-dollar electric reliability projects in the country, helping major utilities provide safer, more reliable energy. These projects include the $1 billion Middletown-Norwalk Project in Connecticut, PPL Electric’s $630 million Susquehanna-Roseland Project in Pennsylvania, Northeast Utilities’ $718 million Greater Springfield Reliability Project, and First Energy’s $1 billion Large Transmission Project Program. Mr. Cabral has a Bachelor’s degree and a Master’s degree in Civil Engineering from the University of Connecticut. Phil has nearly 25 years experience in the Electricity Supply Industry, working previously for Manweb and Scottish Power before joining Siemens in 2002. Following the Project Management career path, Phil has been responsible for some of the largest electrical infrastructure projects in the UK in both the Renewables and HVDC sectors. 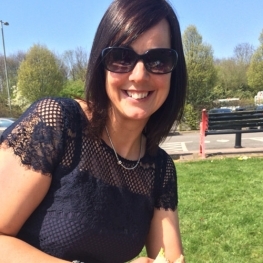 I am a Civil Engineer with over 17 years of experience in the construction Industry, working on large infrastructure projects and now moving into the Energy sector. As the Engineering Manager for our Energy sector, I am heavily involved with our largest project Triton Knoll – a 60km cabling offshore / onshore project. I oversee the engineering on the project and the 13 Civil Engineers currently based there. I also have a huge interest in innovation and ensuring that we as a business utilise use available new technology and see where we can upskill our Engineers. Martin has worked for innogy for over 9 years and has been managing Triton Knoll’s onshore cable works construction for the past 3 and a half years. The project is complex, with the cable route spanning some 60 Km from landfall at Anderby creek to the 400kv connection at Biker fen. Andrew Woollven is a former Naval Warfare Commander and Mine Clearance Diving Specialist and throughout his career been involved in extensive mine clearance operations all over the globe. 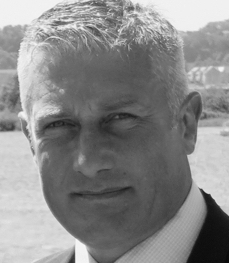 On leaving the forces, Andrew worked as an offshore EOD Superintendent before taking up the position as Managing Director at EODEX UK Ltd, a company that has been specifically formed to bring the very best maritime EOD processes for use within the commercial subsea sector with safety and environmental safeguarding an as central pillars of its delivery. A masters graduate of Kings College and a Member of the Institute of Explosive Engineers, he is also a keen sportsman having represented the Navy and Combined Services at rugby, hockey and athletics; having now retired from competitive sport he enjoys keeping fit enough to enjoy his skiing and currently sits as the Chairman of Middleton Hockey Club. 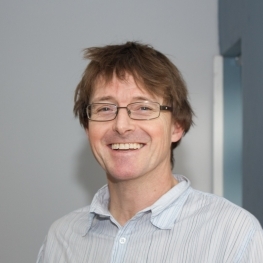 Tobin has worked as an archaeologist, project Officer and Project Manager on archaeological sites of all periods, across the UK, supervising staff on a large number of projects in Lincolnshire, Norfolk and the East Midlands. He has a strong record in post-excavation analysis and reporting and is the lead contact for project work in the northwest. I started my career as a Marine Engineer working for Chevron, BP Petrobras and Centrica in Offshore Oil and Gas. I started my Offshore Wind career in 2004 and have managed the Barrow Offshore Wind farm (30x 3.0MW v90’s), Thanet (90x 3.0MW V90’s), Kentish Flats Extension (15x 3.3MW V112), Blyth (5 x 8.25MW V164) and WalneyExt3 (40x 8.32MW v164) Offshore Wind Farms. In 2015 I completed a MBA at the University of Lancaster and I have also performed the role of Authorising Officer and the Head of the Electrical Safety Committee at MVOW. I am married with 2 young children, I currently reside in South Lakeland and I am a competitive cyclist in my free time. As a project manager at Burns & McDonnell with 20 years of experience, Mr. Buckley’s focus is planning and executing complex utility projects. Dedicated to client success, he has a proven track record of delivering projects on time and on budget with an emphasis on project controls and risk mitigation. Mr. Buckley has been directly involved in the management of several $1 Billion+ utility programs in the northeastern United States. Responsibilities and expertise extend across all project phases, from concept through planning and design, to completion of construction and close out. His background in the management and delivery of large-scale projects includes siting, permitting, land acquisition, field investigations, detailed design, procurement, construction management, cost control, schedule control, conflict resolution and public relations. Mr. Buckley is Burns & McDonnell’s lead project manager on their offshore wind project development efforts supporting the Eversource and Orsted joint venture with the goal of bringing 2 GW of renewable generation to market in the northeast US. Graham has more than 45 years experience working for Consultants and Contractors in the field of Quantity Surveying and Contracts since 1984 and Dispute Resolution since 1990. Experience in the construction industry from a trainee Quantity Surveyor up to a Senior Consultant working in national and multinational contracting companies’ and professional practices worldwide, specializing in Commercial, Contracts Management, and Claims. That experience has covered a variety of large projects, including commercial buildings, train production, mechanical and electrical installation, airports, hospitals & clinics, power, renewable energy, process engineering, petrochemical, nuclear power plants, marine, oil and gas plants and various large civil engineering & commercial schemes in UK, Europe, Far East, Asia and the Middle East. 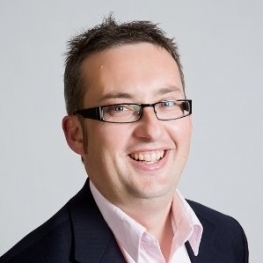 GE Renewable Offshore Localization Leader - Global Supply Chain - Paul is responsible for building an effective Supply Chain Strategy as part of Haliade X 12MW offering in the UK. 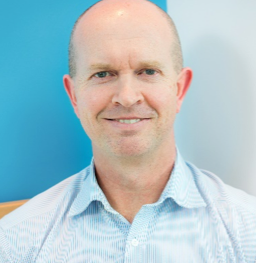 Paul has been with GE since 2011 in a number of Senior Sourcing roles, in his most recent role Paul led the Strategic Sourcing team for the Power Conversion Business. Prior to joining GE he spent 13 years in Sourcing at Rolls-Royce’s Aviation business in the UK where he held a number of Regional/Global sourcing roles. GE is one of the world's leading offshore wind energy companies, with a portfolio of offshore wind turbines ranging from 6 MW to 12 MW that offer increased value to customers with proven performance, reliability, efficiency and availability. GE has invested more than $400 million to develop the most powerful offshore wind turbine—an investment that will also drive down offshore wind’s levelized cost of energy (LCOE), helping make offshore wind energy more competitive for our customers. With 12 MW capacity, 220-meter rotor, 107-meter blade, a leading capacity factor of 63%, and digital capabilities, the Haliade-X 12 MW wind turbine will help our customers find success in an increasingly competitive environment. 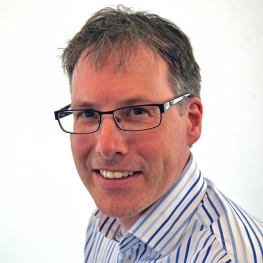 Mark is JBA’s Director for Business Innovation and head of its Marine and Coastal Risk Management Group. He has extensive experience in the management of metocean risks and the optimisation of logistics. 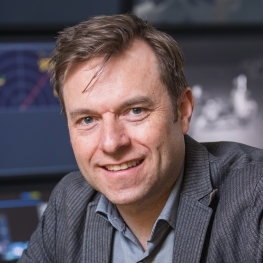 Mark has pioneered the development and use of advanced analytics and modelling software used to design and optimise construction and O&M strategies for the offshore wind and marine construction sector. He directs the development of ForeCoast® Marine; JBA’s advanced logistics and metocean risk management system. 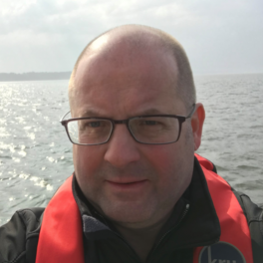 Mark has worked on a wide range of offshore wind projects in the UK and overseas, working closely with project developers, turbine manufacturers, contractors, vessel providers, marine warranty surveyors and industry bodies. Anne is a researcher and practitioner in circular economy, aiming to make better use of materials and products throughout their full lifecycle. She is a research impact fellow and the former programme lead of the £7M Resource Recovery from Waste programme. She is an internationally published researcher and invited speaker on circular economy, governance, renewables and business models. 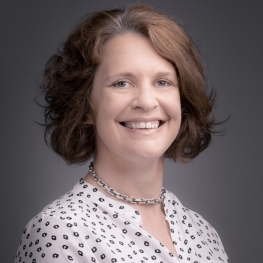 Anne holds various advisory positions on resources, industrial strategy and offshore wind decommissioning with the Department of Environment, Food and Rural Affairs, the Office for National Statistics, the Offshore Wind Innovation Hub, and the Resource Council. To book your place please register here. All tickets include access to the conference and exhibition on 1 & 2 May, 2019.
informed and well-connected audience of offshore wind industry professionals. Double Tree by Hilton, is easily accessible by both road and rail, with Hull railway station and a host of city centre car parks all within 10 minutes walk from the venue. From South or West: Take M1 then M62 then A63 follow signs for Hull City centre, at Myton gate roundabout take A1079 onto Ferensway, pass St Stephens Shopping centre, the hotel is on the left down Portland Place. From North: Take A1 then M62 then A63,follow signs for city centre,at Myton gate roundabout take A1079 onto Ferensway, pass St Stephen’s shopping centre, the hotel is on the left down Portland place. The train station is very centrally placed and the Double Tree Hilton is a 10 minute walk. Once you have disembarked from the platform, exit the station on the left next to the ticket purchasing office. Head past the St Stephens’ Shopping centre and Hull Truck Theatre and the Double Tree Hilton is on your left. This not-for-profit, privately operated business development organisation has a growing membership of over 200 companies. THMA has a focus on the marine and offshore energy sectors based in Yorkshire, Humber and Lincolnshire region. 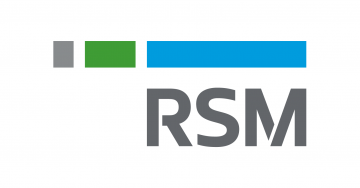 Established in 1996 as one of the main Marine, Maritime & offshore renewables organisations in the UK, THMA works in partnership with five local authorities, the Humber Local Enterprise Partnership and key academic institutions. We have facilitated millions of pounds worth of new business for our members whilst organising overseas trade missions, networking events, exhibitions, workshops and conferences. Team Humber is actively supporting skills development programmes and has an active and successful Maritime & Offshore Skills Group.